Indian Schools are witnessing a dramatic change at a large scale, as traditional approach to teach and learn is fast turning obsolete. As a rising number of schools are embracing ICT, students are being driven to exponentially adapt modern learning methodologies, writes Rashi Aditi Ghosh of Elets News Network (ENN). The country’s formal education system is multilayered. A whooping number of 260 million students, larger than many countries’ total population, is enrolled in this system, with over 1.5 million primary and secondary schools being governed by either the State or Central education bodies. Widening the reach of education and opening new vistas for students, the usage of Information and Communication Technology (ICT) is growning rapidly in India. On one hand, the Central Government is promoting ICT through its various initiatives, on the other hand schools are also introducing several innovative ideas for making optimum usage of technology in preparing the students for a better future. The market of online education is aquring a lot of popularity and according to various reports it is here to stay. According to a report published by professional service company and leading audit firm KPMG (May 2017), Indian online education sector is currently worth $247 million and it is anticipated to grow to 1.96 billion in 2021. Online education in India is expected to grow but there are several factors responsible for its development in the country. Growth of e-learning depends upon various factors like availability of quality education, employment for students, digital initiatives by Government, Smartphone users, Internet availability, disposable income and Young Population. These factor often emerge as challenges for online education. Skill training and online certification currently play a significant role in the Indian online education market with a share of 38 per cent. According to the projections of a KPMG report, nearly 280 million students are expected to be enrolled in schools by 2021. A larger share (39 per cent) of this enrollment is projected to be inclined towards online primary and secondary supplemental education. Similarly, the popularity of online test preparation is expected to be the fastest rising category of online education, estimated to grow at an impressive CAGR of 64 per cent in the next five years. The Central Government has subsumed ICT in schools under Rashtriya Madhyamik Shiksha Abhiyan (RMSA) (a national drive for secondary education). ICT is essentially now a component of RMSA. This scheme has been designed by the Ministry of Human Resource Development (MHRD) to omit the digital gap amongst the students from various socio-economic and other geographical backgrounds. It ensures aid to States/UTs to establish computer labs on a sustainable basis. Meanwhile, the concept of ICT in schools was launched in December 2004, it was later revised in 2010 to ensure opportunities for students enrolled at the secondary level of education. This was mainly initiated by capacity building of students in terms of ICT skills and to make them learn through relevant computeraided training process. The scheme presently handles both the Government and the Governmentaided Secondary and Higher Secondary Schools. Financial assistance under the scheme is ensured to the States, Central Institute of Educational Technology (CIET) and State Institutes of Education Technologies (SIETs) based on the approvals accorded by Project Approval Board (PAB) chaired by the Secretary (School Education and Literacy). The project cost is shared between the Centre and States in ratio of 75:25 except for the North East Region (NER) states including Sikkim where it is 90:10. Financial assistance is given to the scheme for procurement of computers and peripherals, educational software, training of teachers, development of e-contents, Internet connectivity and set up of smart schools. So far, 87,033 government and government aided secondary and higher secondary schools have received approval for coverage under ICT in Schools Scheme. 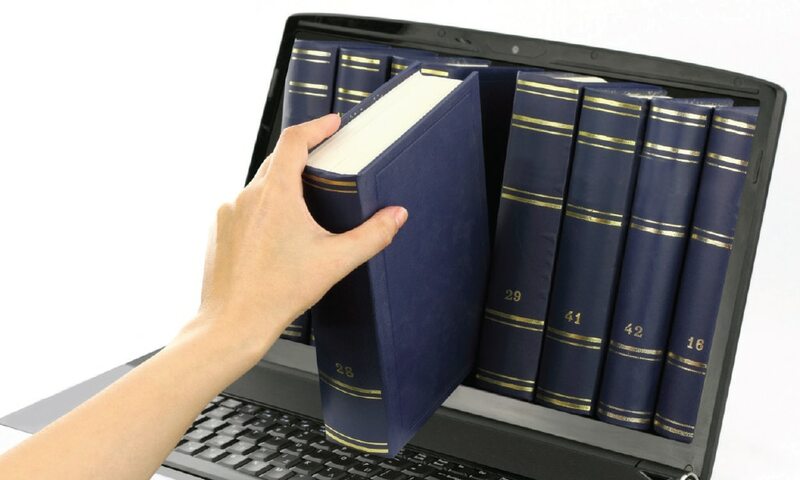 In sync with the Central Government’s Digital India initiative, the Department of Electronics and Information Technology has created a portal to ensure accessibility of e-books. MHRD has approved 63 out of 150 Smart Schools under the existing ICT in School Scheme so far. The Smart Schools are getting ready in the districts in sync with one of the existing State Government Schools, to serve as a role model and technology demonstrator among the neighbourhood schools. For promoting computer enabled learning and usage of ICT in teaching in Government and Government-aided Secondary and Higher Secondary Schools, the MHRD has a provision of National Award for innovative use of ICT to motivate the teachers and teacher educators initiating proper usage of ICT in teachinglearning. In sync with the Central Government’s Digital India initiative, the Department of Electronics and Information Technology has created a portal to ensure accessibility of e-books. The main motive of the initiative is to bring various publishers (free and commercial) and schools on common platform. The Tamil Nadu government has recently announced engaging of around 800 State Government teachers in developing a new curriculum enriched with the knowledge of ICT. It seems with the rising interface of technology in each and every domain, the need to get the students ready for ICT usage is the need of the hour. Supporting the demand with its relevant initiatives, the government is also equally ensuring this requirement. With proper exposure and relevant industry-based training in sync with the ICT, the education sector in India finally appears optimistic in overcoming the ageold challenges posed due to either absence of or minimal usage of technology.